HostGator offers affordable shared hosting as well as a plethora of other hosting features including VPS and dedicated server options. They have over 12,000 servers and boast a 90% overall customer satisfaction rate, so they’re definitely doing something right. HostGator was founded in 2002 and made their way to the top of the hosting industry, competing with giants like LiquidWeb, InMotion, and GoDaddy. HostGator offers a number of unique features that make it such a popular choice for first time website owners and bloggers, along with advanced features and easy scalability for experienced web masters. 1) Eco-Friendly: HostGator is one of the few web hosting companies who is openly dedicated to green energy. It can take a lot of energy to power millions of websites and keep them running, resulting in a larger carbon footprint. 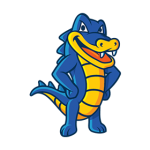 HostGator buys servers that are 36% more power efficient. They also invest in wind energy that can help offset server emissions. They purchase certified renewable energy credits (RECs) that are climate-friendly and wind-powered. All these efforts by HostGator to provide green hosting are equivalent to moving hundreds of cars from American roads or powering hundreds of homes per year. If you or your business is eco-conscience then choosing host gator will keep with your goals and values. 2) Separate Billing Area: Most web hosting companies use the same portal for billing and the control panel. HostGator has intentionally separated the two areas and have a dedicated billing area. This is good for security, because if you ever want someone else (a friend, associate, web developer, etc.) to have access to your control panel, you can do so without compromising your security and exposing your billing information. The billing area has the standard features you would see, like your billing history, account credits, and areas to manage your payment, subscriptions, and credit cards. However, you might find using separate logins for your billing and control panel a tad bit annoying. HostGator recognized this and recently introduced single sign-on so you can use the same login credential to navigate both areas. 3) CodeGuard: There are many reasons to constantly backup your website, especially if you have content that changes frequently. Backing up can protect you against CMS upgrade woes, like when WordPress releases a new version. But backing up can be a hassle, especially if you’re not technically savvy. Enter CodeGuard. CodeGuard is an add-on service HostGator customers can purchase for shared hosting packages. This service monitors your website, backs it up daily, and provides you the option to restore a backup to revert to the previous version of your website. After the initial backup, if CodeGuard senses a change in your website’s code, it’ll continuously backup your website automatically. You can also perform backups on-demand in addition to daily backups, depending on the level of plan you purchase. Pretty good support team offered at HostGator. They are on call 24/7/365 by email and phone, which is helpful and convenient. Not quite on Siteground‘s level with over-the-top customer service quality, but enough to give them a 90% customer approval rating. We looked at different web hosting review sites to get honest opinions about HostGator. Many users were positive about their features and ease of use. Not all reviews were positive. We found some Hostgator users upset at the lack of support and resolution times. 1) 24/7/365 Support: HostGator provides around-the-clock support, through phone (toll free and local), live chat, and support ticket system. There is also an extensive knowledge base that answers many questions, organized by different topics. There are also video tutorials better suited for visual learners. 2) Weebly Website Builder: HostGator has partnered with Weebly to provide their website builder. Weebly is known for an easy-to-use interface that’s convenient, but still extensive for a drag-and-drop website builder. 3) Unmetered Disk Space and Bandwidth: There is really no such thing as unlimited disk space and bandwidth. But HostGator does openly state they don’t meter their customers’ disk space or bandwidth, as long as they’re fully compliant with the Terms of Service. 4) 45-Day Money-Back Guarantee: HostGator offers a 45-day money-back guarantee, which is fairly generous compared to the standard 30-day money-back guarantee. Dedicated servers are not eligible for this guarantee though. 5) Uptime Guarantee: HostGator’s uptime guarantee is 99.9%. They provide RSS feed for service status updates. Their facilities are based in Texas, with power backups and constant monitoring to help meet their uptime guarantee. 1) No Cloud Hosting: HostGator doesn’t have cloud hosting yet; they only have shared hosting, VPS hosting, and dedicated server hosting plans. 2) Tricky Interface: HostGator’s main website can be confusing and requires some digging to find all the available options. 3) Unsecure Email: HostGator doesn’t offer built-in antispam or antivirus features for their email accounts, whereas similar companies have those features by default. HostGator is one of the most well-known and popular web hosting companies. They offer different levels of hosting plans with a separate billing area and unlimited disk space and bandwidth, among other standard features. They’re priced reasonably but lack email security protections. With a generous 45 day money back guarantee you can check out HostGator to see if they are right for you. However if you are looking for cloud hosting you’ll have to check out other providers.